Still looking for that perfect holiday gift for the Mega Man Star Force fan in your life? If you don't mind Viz Media's handiwork, and have have a region-free DVD player or live in the UK, then this deal is for you! Amazon UK are selling new copies of the Mega Man Star Force DVD box set at a ridiculous low price of £4.97 (roughly $7.75). What's more, third party seller 666 Media are reportedly selling the set even lower. How's £1.95 ($1.38) sound? Not a bad deal at all, especially if you were holding out for a price drop. For those not in the know, Viz's Star Force dub was only released on DVD in Europe. The box set contains all thirteen dubbed episodes that aired on the now-defunct Toonami Jetstream service. No Japanese voice track here, I'm afraid. For one reason or another, Manga Entertainment opted not to include a Japanese voice track for this release. If that doesn't bother you, it couldn't hurt to look into this reasonably priced set. Stock is limited, so nab it while you can. Click the above links to order! Thanks for the tip, Tim! I really liked the Star Force series. This anime was ridiculously low-budget, but it wasn't bad either. I wish it had been given a chance. I have it. Its only real value is as the only legitimate DVD release of the series in any region. (Japan never even put these out on DVD, even though Beast+ got released...) It is exactly like the Toonami Jetstream run with zero additional features. Damn, that low? Even if the whole series wasn't dubbed, at that price it's well worth it. Maybe I'll get it after all, and pay homage to my favorite series. But I've never bought from amazon before..... hope they ship to Australia. 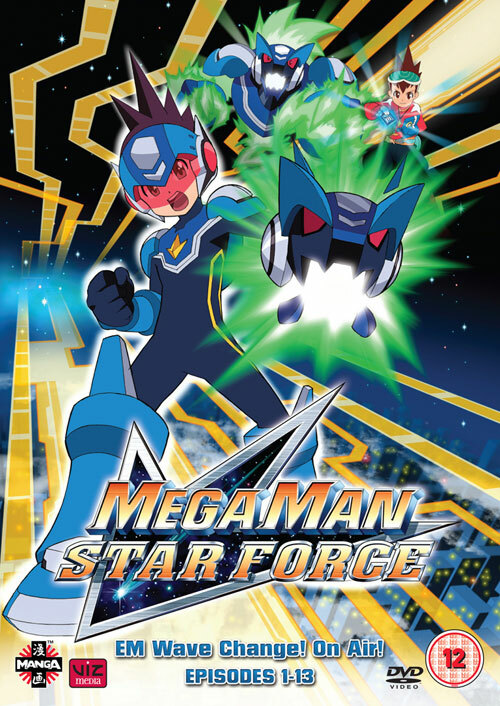 I found myself enjoying Starforce anime a lot more than NT Warrior. Perhaps the fact I found it more entertaining to hear the actor's & actress's here than in the other. It also makes me sad that it stops at 13 episodes, which means I won't get the chance to hear MElissa Fahn & Wendee Lee arguing (in character) with each other over Geo.